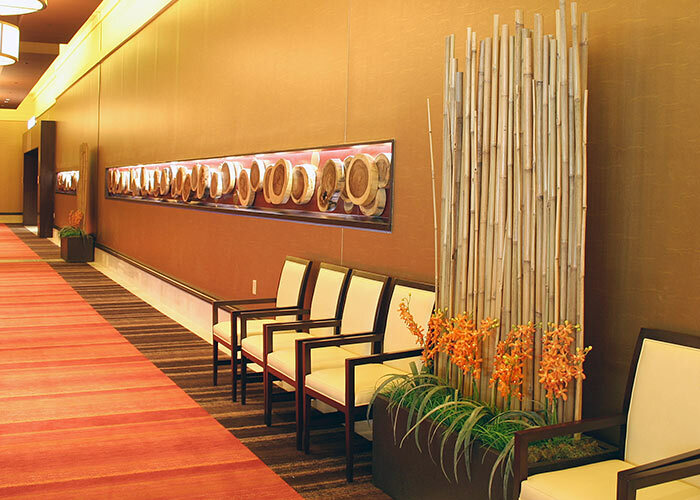 (1/9) 25 ft. bamboo on synthetic canes. 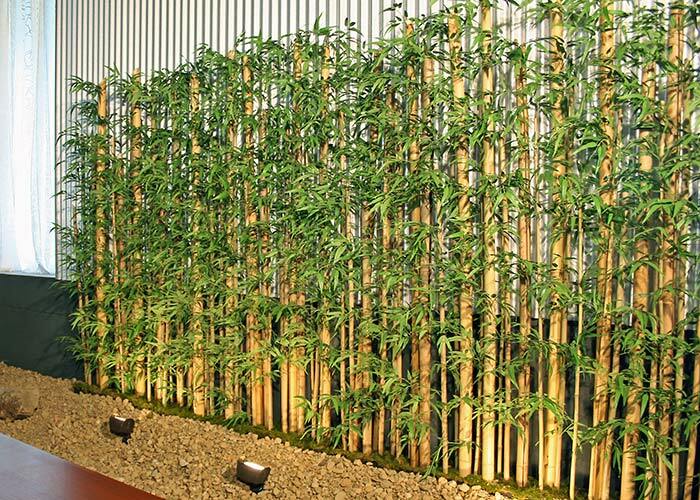 (2/9) A planting of real bamboo canes with artificial bamboo foliage helps hide a wall in an unusual residential setting. 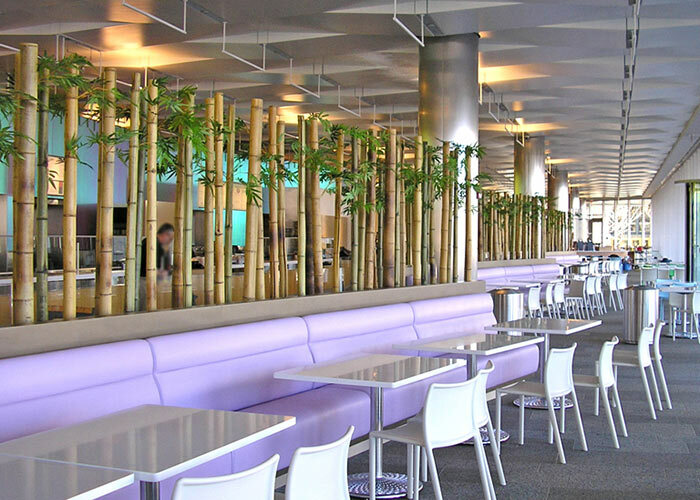 (3/9) Real bamboo canes just lightly foliated at the top enhance the ambience of this modern upscale cafeteria and also act as a screen/divider. 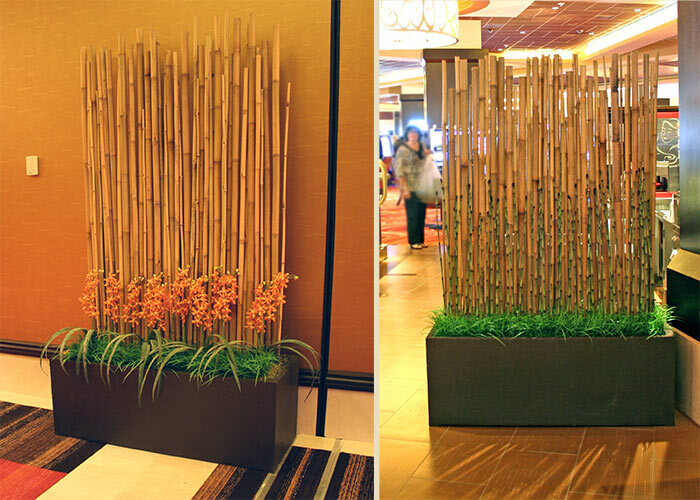 (4/9) Tightly packed unfoliated real bamboo canes, along with artificial orchids and grasses, make a very contemporary planter arrangement outside a casino restaurant. 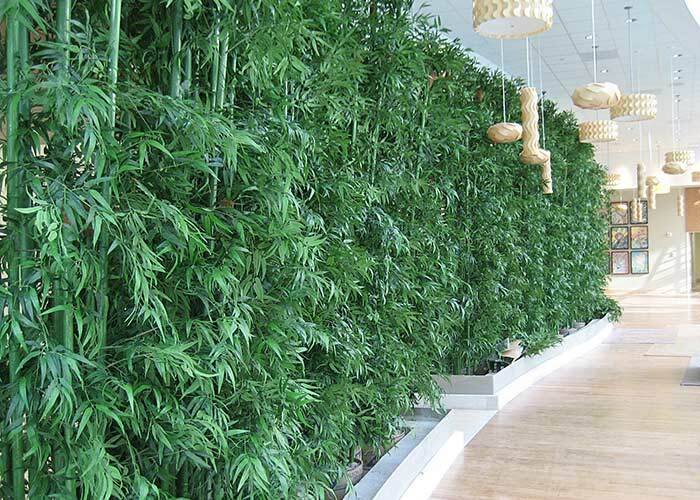 (6/9) Dense bamboo foliage on synthetic canes which were stained green. Installation of ground cover is not completed and the heavy concrete bases can be seen inside the planters. (7/9) This is our manufacturing facility as we prepare the heavy concrete bases for the bamboo in the previous photo. The green-stained synthetic canes are drying in the back. 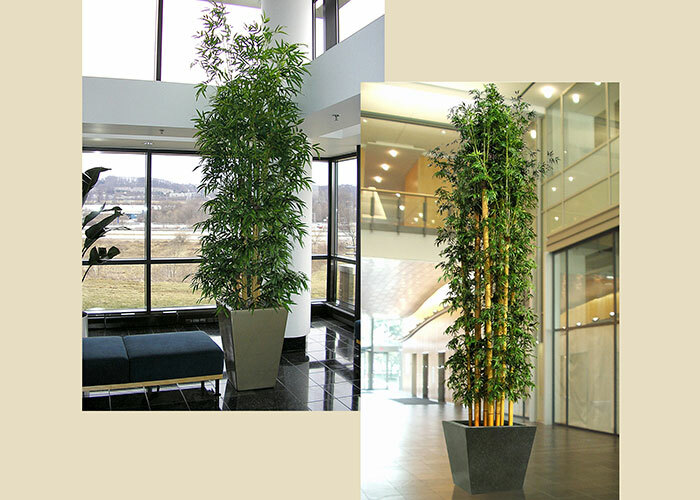 (8/9) Bamboo plants in containers make a beautiful and unexpected addition to any office or lobby. 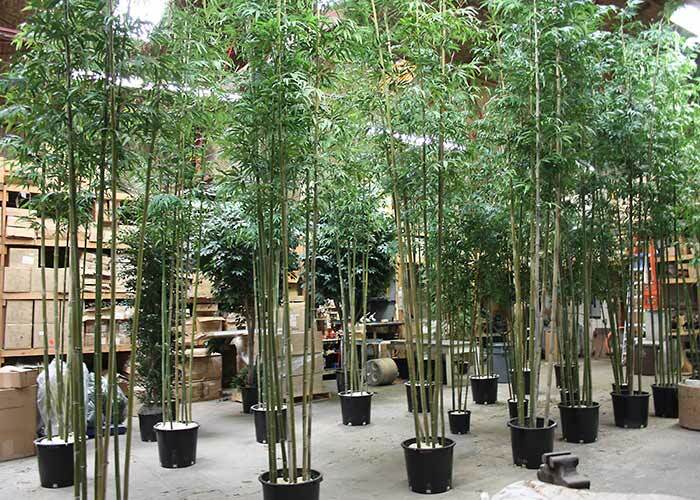 (9/9) A large order of 15 ft. bamboo on real bamboo canes being constructed in our manufacturing facility. 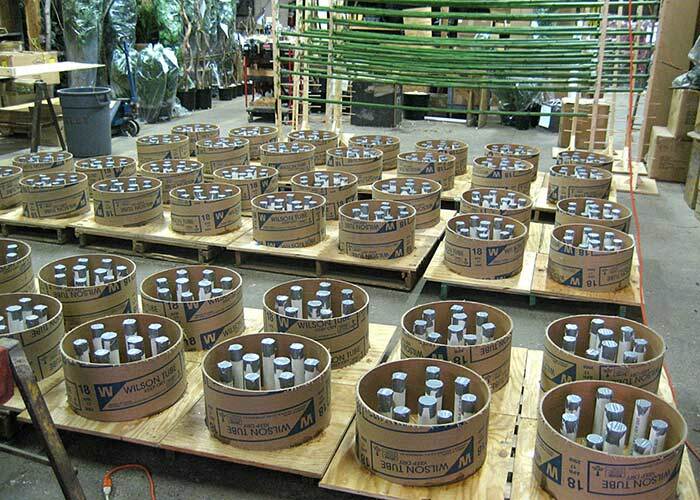 These are potted in grow pots with foam, gravel beneath the foam for weight. 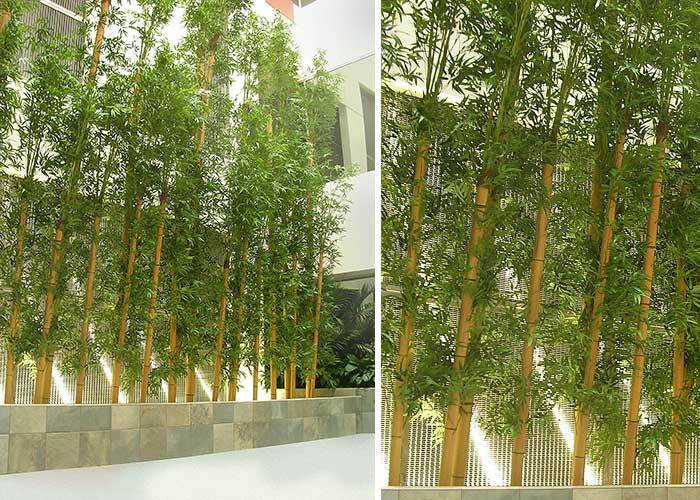 Galleries: Museum Series Trees Trees on Wood Bamboo Misc.